TRU will hold its very own Relay for Life this year and it’ll be run entirely by students. 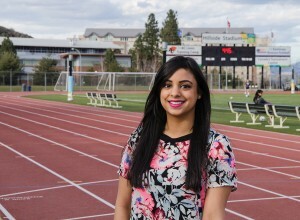 Tia Kooner is a third-year bachelor of arts student and the event and leadership chair for the event. “It is an amazing way to bring people together in the fight against cancer,” she said. Kooner’s sister had cancer and now serves as a relay co-ordinator at Simon Fraser University, which inspired her to take on the same position. “We have a cancer awareness club on campus, but not everybody knows about it,” Kooner said. Twenty teams have raised more than $6,600 of its $8,400 goal as of March 23, according to TRU’s Relay for Life page. The TRU relay differs from the Kamloops relay as it considered a “youth” relay. Any student, staff member or family member can join the relay, but it is a separate event from the Kamloops team. Sheena Erhardt, residence life co-ordinator and support staff for the relay, called the event an opportunity for students. Erhardt became involved in the relay because her best friend’s mother had cancer, as well as her father had skin cancer. “That had a big impact on us and there was no support. There was nobody that understood what we were going through,” she said. Nich Gulycz, a fifth-year theatre student, is also a cancer survivor. He will be participating in the relay on Team Destination. Gulycz has been free of cancer for 14 years after being diagnosed with acute lymphoblastic leukemia at the age of five. He’ll be running in the survivors’ lap. Teams can choose how they fundraise – some are selling chocolates while others are holding bake sales. The relay will be held on March 28 from 7 p.m. to 7 a.m. at Hillside Stadium. Participants can register and find more information at: www.relayforlife.ca/tru.